The Apple and gadget loving world is going crazy about the new iPad, set to launch in seven days time around the world, but while it is great that we are going to have a beautiful, Retina ready iPad to play with, we need to spare some time to think about the iOS software that powers Apple’s amazing devices. A relatively small part of the Apple media event in San Francisco was dedicated to the news that the company were set to release the latest 5.1 update to iOS. Tim Cook spent a few minutes discussing some small additions and paid most attention to the fact that it would being Siri to the Japanese market, but straight after the event device owners all over the world started seeing iOS 5.1 as an available update. Whenever we see either major full revisions, or notable point revisions of Apple’s mobile operating system, it sometimes plays havoc with the jailbreak loving world. The rule of thumb when it comes to jailbreaking is to stay away from firmware revisions altogether until the development teams announce that it is safe to update, or they release an updated version of their tools which can provide a safe jailbreak. Another problem is that Apple are known to change things behind the scenes in iOS, which can prove extremely problematic to developers of tweaks and modifications for jailbroken devices, causing their software to stop functioning altogether. Unfortunately, one of the biggest problems with installations through Cydia, is that sometimes developers choose to stop supporting the tweaks that they have sold, meaning that as iOS updates are released, the likelihood of continued compatibility reduces dramatically. Thankfully, that is one thing that doesn’t seem to apply to the tweaks and enhancements that are released by popular developer Grant Paul. Users of the developer’s software will be generally used to receiving timely updates and great support through efficient documentation and that is obviously continuing as his Zephyr and Infinidock tweaks have both been updated with full iOS 5.1 compatibility. The popular Cydia packages have been updated to versions 1.2.3 and 1.8.4 respectively and are available to download or upgrade right now. In normal circumstances, updating two packages to support a latest OS that has only been released for just under two days would be seen as quite an impressive feat, but considering all his extensions have also been updated in the space of a day it makes it a little more impressive. If you are a user of any of those packages and are planning on making the jump to iOS 5.1 then rest assured that total compatibility awaits you – at least when it comes to chpwn’s tweaks. Of course, you will need to jailbreak your device to install this tweak. For jailbreaking the latest iOS 5.1 (tethered), follow the instructions posted here to jailbreak using Redsn0w. 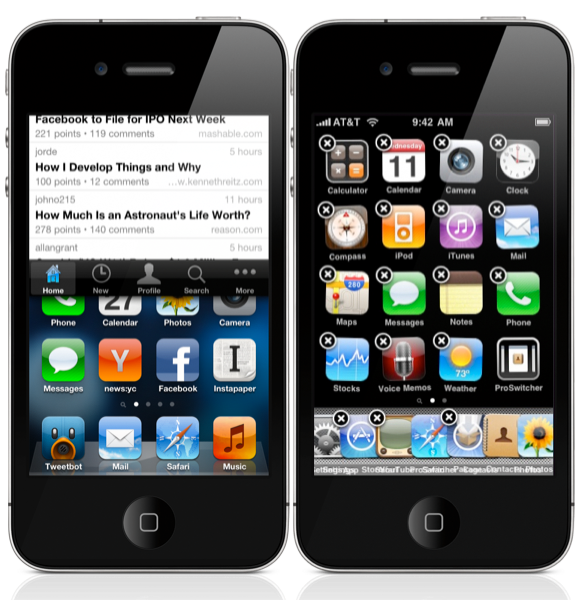 For jailbreaking iPhone 4S and iPad 2, you can simply follow our step by step tutorial posted here to jailbreak iOS 5.0.1 using Absinthe on Windows or Mac. Those of you with an iPhone 4, 3GS, iPad 1, and iPod touches can use Redsn0w or Sn0wbreeze to untether jailbreak on iOS 5.0.1.